It’s almost time for another new year to start…another chance to try to get it right. For each of us “it” may be something different–to lose a specific number of pounds…to finish that project started years ago…to reconnect with family…to finish school…. Yet for each of us, the new year is a chance to both look back and look forward–appropriate for the month named for Janus, the god who looked both directions. Looking back gives an opportunity to see missed opportunities…to really evaluate where we’ve been and how we’ve been doing. And looking forward lets us see the new path before–the clean slate. How will we connect and interact with each other? Willing to listen? to be vulnerable? to share those experiences that have made us who we are? Or will we insist that our own understandings are the only right ones? that no one else can possibly have “the truth” if they don’t agree with us? True, that often happens when we begin to talk religious “stuff”…but that’s not the only place. Just think of what we’ve been hearing recently in political ads? and in political action…and relationships with other countries. We have another chance to see the world in a whole new way…can we take advantage of it? May you and those you love be blessed this day and this year with love, hope, joy, and peace. Every family has Christmas traditions…some of which are shared with other families, some of which are unique. One of ours always makes people go “huh?? ?” when we mention it–and it is fun to see people’s reactions. For as long as I can remember, our family (or whoever is available) has gathered for Christmas Eve dinner. Nothing unusual about that–but the menu is rather surprising…….oyster stew and waffles! It actually goes back a couple of generations. My paternal grandfather wanted oyster stew for Christmas Eve, although I’m not sure why. That was fine with my father, who also liked oyster stew. However, my grandmother and my aunt did not, and so Gram fixed waffles for them. That’s it…that’s how the tradition started. But all my life, that’s been our traditional Christmas Eve dinner. Last night Santa went to a local hospital nursery to do pictures with babies–the second year we’ve done this. Santa didn’t think he would beat holding last year’s youngest child (who was three hours old). As the evening wore on, he held one who was about four hours old…one who was six hours old…but then came one who was just two and a half hours old! Wide awake and alert…looking around at this brand new world. Everyone who gathered around was delighting in watching this new life discover sights and sounds not seen before. And I got to thinking about the child whose birth we are celebrating this season. Did Mary and Joseph have as much delight in watching Jesus look around? What did Jesus see–and hear–when the shepherds came to visit? What did Mary and Joseph think about these strange visitors? And so, while we celebrate the birth of one specific child this season, I hope and pray that as we look into the faces of children everywhere–whether our own or someone else’s…whether of our own race, nationality, or religion or of another–that we are reminded of the opportunity (and responsibility) that is ours to help create a world where there is truly peace on earth. What brought this up today? Yesterday I heard on the news (and was given a link to a site) about a “Christian” organization that apparently doesn’t like to see members of any other religion–and in this case especially, Islam–presented in any light other than as dangers to their understanding of the American/Christian way of life. They have put pressure on the companies that have advertised on that show, and a number of those companies have pulled their ads in response. The Christ I worship is one who came to unite people, not drive us apart–even if we have different understandings of and names for the One who created all of us. When he was living here, he reached out to any who were willing to listen–those who were religious, the outcasts, the enemies of the state. Even as he was dying, he reached out in love. As his follower, can I do any less? That doesn’t mean that I’m going to necessarily agree with how others worship. But it does mean that I need to see to understand–not push away. It means that I need to listen–and in listening, face the possibility that my perceptions may be stretched. It means I need to give others the grace I want for myself. 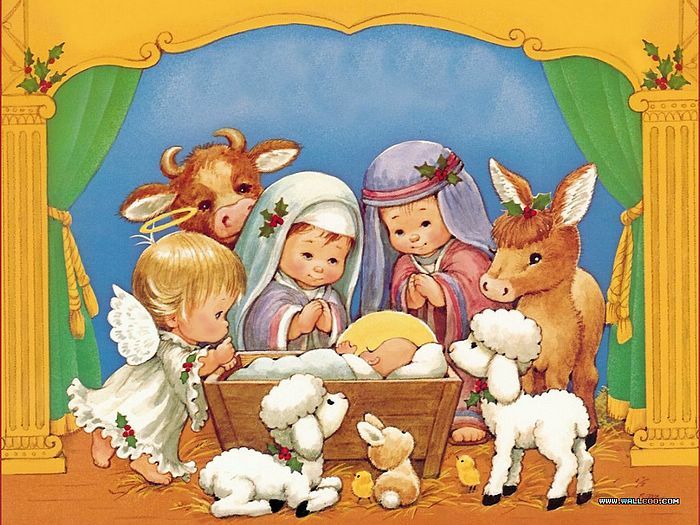 Those who came to worship the babe whose birth we celebrate weren’t ones who were typically included in worship. They were shepherds–considered outlaws and thieves…individuals whose testimony was automatically discounted in a court of law. They were magi–members of another culture whose worship style we don’t know a lot about…but it was definitely different from that of the Jews! And those who followed the grown Jesus were not those typically accepted. They were fishermen–who were considered continually unclean. There was a Zealot–a terrorist. There was a tax collector–a traitor to his people and a thief. And this Jesus reached out–to Samaritans, bitter religious enemies…to Romans, occupiers of his country…to lepers and others who were ill, often forced to leave their families and their homes to live wherever they could find shelter. How the Peace Bringer must weep when we use the occasion of his birth to exclude and create distrust! I find it intriguing that this is the first statement made when a human being has an interaction with the Divine in some form…whether it’s Abram (later to be Abraham) being told that he will become the father of many nations…Moses telling the people to watch God’s power at work…Daniel being visited by the Son of God…Joseph being told to go ahead and take Mary as his wife…the annunciation to Mary…Zechariah being told he will become the father of John the Baptist…the announcement to the shepherds of the birth of Jesus…Jesus calling fishermen to follow him…the women at the empty tomb…all of them situations when people were being called from “the usual” into something new. Sometimes I think we have lost that sense of awe. I’ve put out some of my nativities for this year (can’t get them all out this time!) and thinking about that earlier triggered this musing. In so many of them, the angels are beautiful figures–awe-inspiring, but not particularly frightening. But I have a stand-alone angel that to me embodies the power behind the words “Fear not!” It’s a beautiful figure–but it’s also one I would fall down before if it was actually appearing before me in the flesh. So how does this relate to what seems to be our modern thinking of God as friend? I believe that’s true–believe that’s why Jesus came to earth as “God with flesh on” so that we could understand that there is a Living Presence who cares for us and who understands our lives. But at the same time, I think it’s important for us to also understand that God as friend doesn’t mean the same kind of “buddy-buddy” relationship that we might have with our best friend here. God’s friendship challenges us…because God knows our potential, knows who and what we can be–and really doesn’t want us to settle for anything less than that. And God is more than we are. Friend, yes…Comforter, yes…but also Ongoing Creator whose creativity we are just beginning to understand–and realize how much we don’t know. And so…while it’s important for us to see and sense God’s presence in all that is around us, it’s also important to open our ears to hear “Fear not!” …when God chooses to interact with us personally–to challenge us to move into something new.